Out of print, and hard to find food jar fabric. 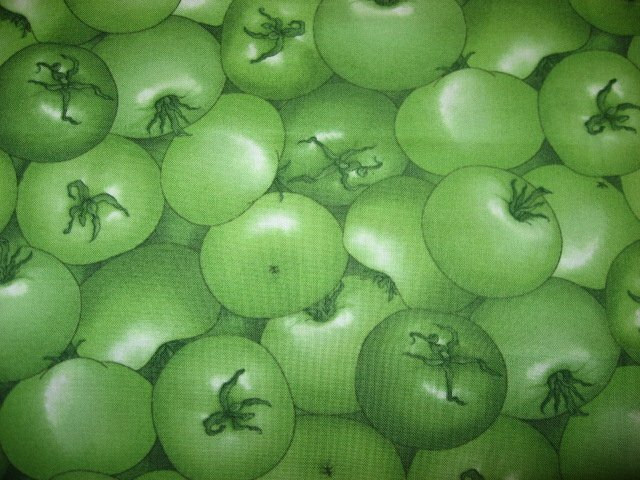 1/4 yard green Tomato fabric. More than one will be shipped as one piece. I also have many Kyle's Fruit and Vegetable Fat Quarters in my store.